Usually when it comes to breaking into an ATM, you need dynamite. However, some lucky Scots were the recipient of free money after an ATM machine located outside of a Scotmid went haywire, dispensing twice the amount of money requested by users. Who doesn’t love free money? 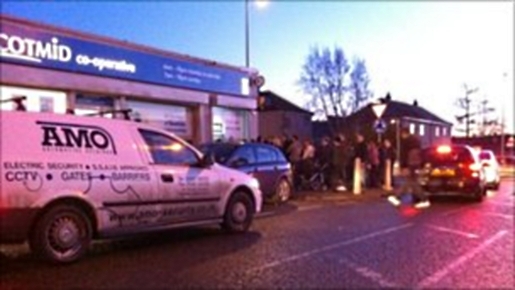 Tayside Police showed up to attend the scene, which took place outside of the Scotmid branch located on Fintry Road in Dundee, Scotland. Fortunately, there were no real complications, aside from the free money. Bank Machine Ltd. is the company responsible for the maintenance of the ATM, which is not related to Scotmid.